Before you spend thousands of dollars, here are some tips, tricks, and items that you can purchase to create a variety of beautiful DIY wedding themes no matter what your budget. Bringing your wedding vision to life, that fits your budget, is not an easy thing to do. Whether you plan on having a rustic boho theme or a preppy nautical one, it takes a lot of time, planning and budgeting to ensure your vision is executed correctly. Before you spend thousands of dollars, here are some tips, tricks, and items that you can purchase to create a variety of beautiful DIY wedding themes no matter what your budget. If you’re inspired by ‘The Great Gatsby,’ take plenty of queues from the roaring twenties. From your invites to your decor, choose rich golds and silvers contrasted by striking black which will definitely bring through a beautiful art deco look and feel. 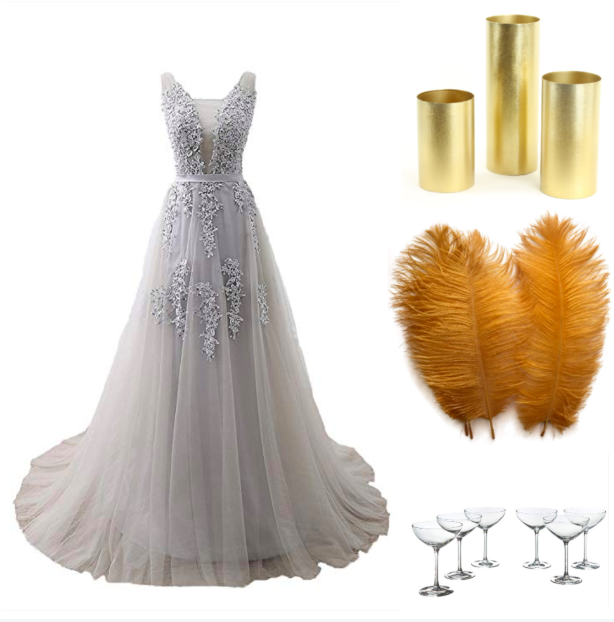 Think flirty feathered details, plenty of champagne, and a jazz band that will have your guests dancing the night away. With this eye-catching decor, dazzling bridesmaids dresses and delicious desserts, you can transform any wedding venue into the opulent space you’ve dreamed about. Here are a few things that will add a stunning touch to your opulent art deco wedding theme. 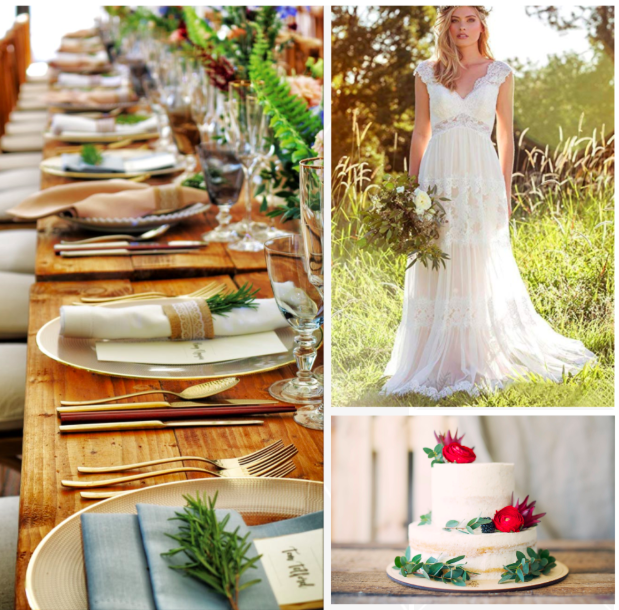 A beautiful boho wedding often looks incredibly chic but takes minimal effort to create. With plenty of green and shades of white, this theme is perfect for a budget backyard wedding or one at an outdoor garden venue. Because a bohemian wedding is better suited for the outdoors, get creative with the furniture you choose. Opt for natural looking woods like wicker, teepees, and poufs in shady spots to keep guests comfortable at all times. With a fresh ocean breeze and sand in between your toes, a seaside wedding is not only beautiful but also insanely romantic. From a seafood bar stacked with oysters and fresh shrimp to a customized flip flops and candlelit reception, everyone loves a day (or night) at the beach. 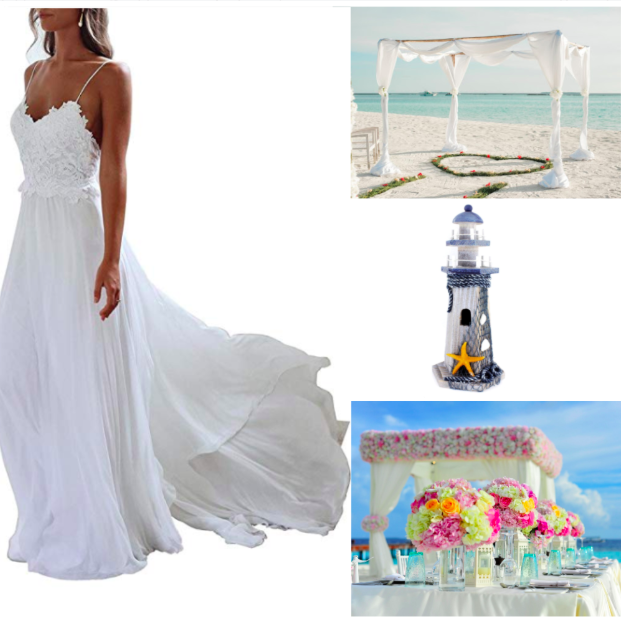 Add some nautical decor (lighthouses, anchors, and seashells) and plenty of white linen, and you’ll have the perfect beach wedding setting. For more wedding themes, read our blog post ‘10 Wedding Theme Ideas That Will Have Your Guests In Awe’.